The city of Coldwater, MI finds itself the subject of a federal lawsuit after its city manager, Jeff Budd, found Tea Party signs “too political” and “too controversial” and banned all signs and banners as a result. The complaint (found here) was filed by the Thomas More Law Center on behalf of the Common Sense Patriots of Branch County, Michigan. 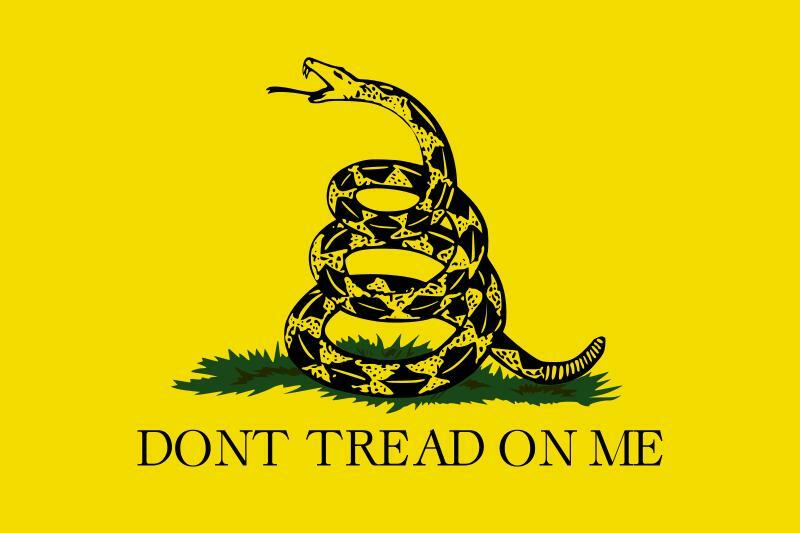 The Tea Party group had held a few rallies at the public park before, but according to the complaint, before a July 2010 rally, the city initially rejected a request to fly a banner before reversing itself and allowing the banner while a “banner policy” was worked out. The policy, according to the complaint, was to ban the “display of banners or other signs of any type” from the park, recommended by City Manager Budd and accepted by the city council on a close, split vote. Among the reasons cited by Budd are the “administrative headaches” involved in deciding who gets to have a banner. Methinks he just got the mother of all administrative headaches by inviting a federal lawsuit down on his city. This just seems like a really dumb move by the city, especially in this litigious society when you had to just know somebody would call you out on this. It’s a public park, and if the courts are going to allow the KKK and Nazis the right to assemble and fly whatever signs they want, then they have to let the Tea Party – a group that, despite many attempts to liken them to the former two groups, are worlds removed and far tamer and civil than the real hate groups with whose names they are unfairly smeared – do so as well. I can see one legitimate concern where security over overtly political or controversial assemblies (see KKK and Nazis above). But again, despite a massive effort to say otherwise, Tea Partiers just aren’t a security risk. It will be interesting to see how this plays out, but I have to think this little town really stepped in it. I generally try look for the root cause of dumb decision to try to understand how a person or party arrives at it. I also follow the principle of not assuming malice when stupidity is an option. That being said: I really don’t understand what in the hck these guys were thinking. this seems pretty darn blatant, particularly since they used phrases like “overtly political”. The only instance I could see in legislating against signs would be for public safety reason (size, structural integrity, etc). Not assuming malice when stupidity is an option is always a good rule of thumb. I don’t think there’s active persecution at work, I just think these folks were trying to avoid a touchy issue and thought they could just make it go away. Called that one wrong.